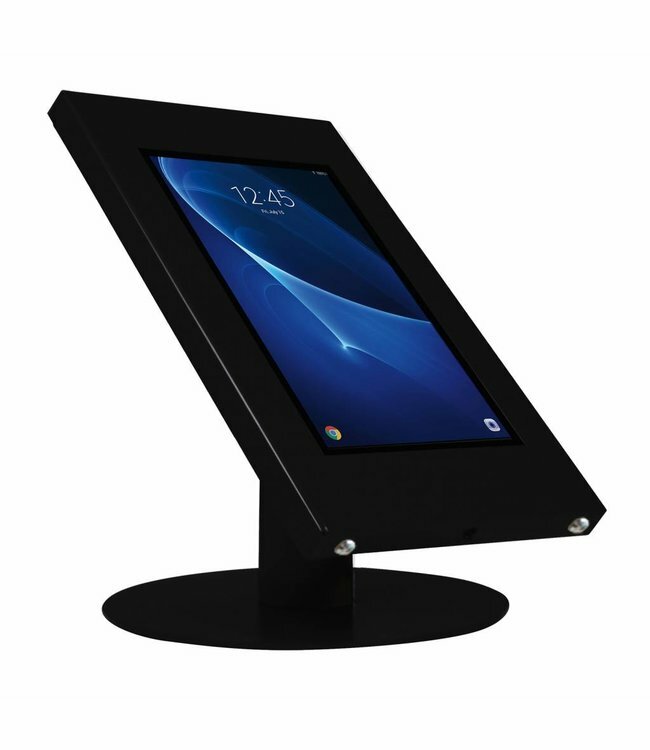 Tablet desk stand with universal enclosure, suitable for Samsung Galaxy Tab A 10.1". 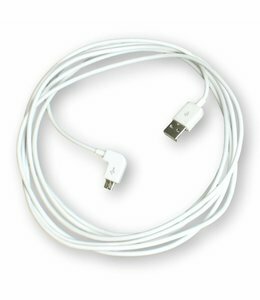 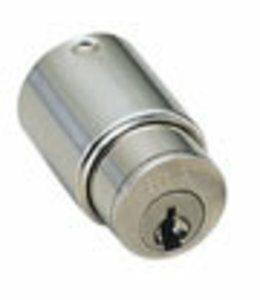 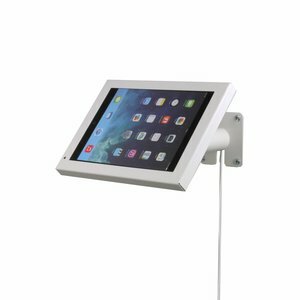 The holder for the tablet is made of solid steel and lockable with key-lock. 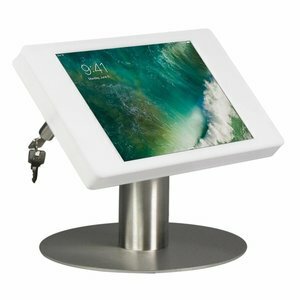 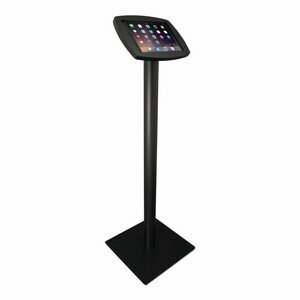 The tablet holder is mounted on the pedestal with a comfortable viewing angle of 45 degrees.The pole is hollow and provides space for cable management. 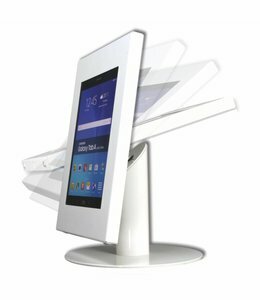 WiFi signal and sound are not disturbed or affected by the holder.